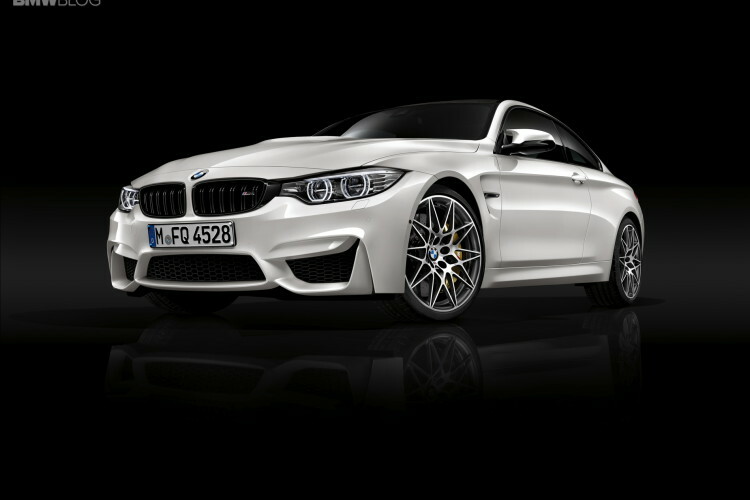 This past Wednesday, BMW announced the details around the new M3 and M4 Competition Package. The 444 horsepower (450 hp in Europe) will cost $5,500 for the M3 sedan and M4 Coupe, and $5,000 for the M4 Convertible. The Competition Package includes Adaptive M Suspension – which has been extensively tuned to the enhanced performance and handling – new springs, dampers and anti-roll bars, along with reconfigured driving modes (Comfort, Sport and Sport+). BMW also retuned the electronic differential and the Dynamic Stability Control to match the upgraded hardware. 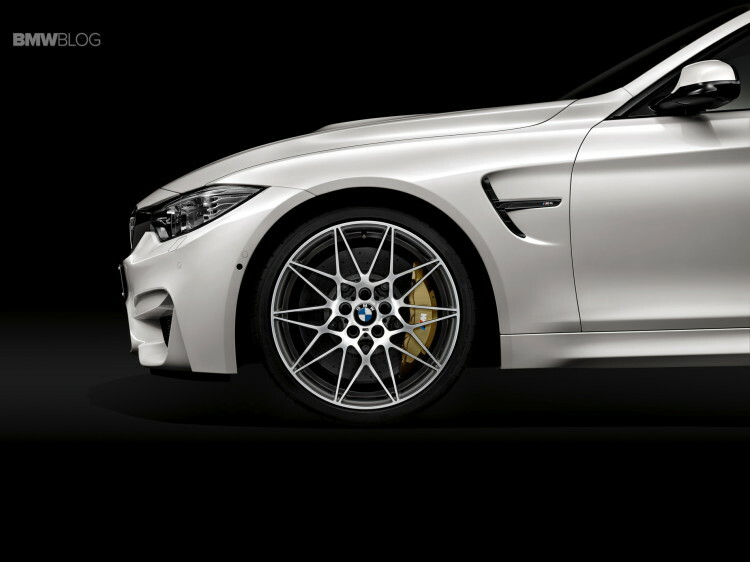 Exclusive forged, machine-polished, weight- and rigidity-optimized 20-inch M alloy wheels – front 9J × 20; rear 10 J × 20 – with exclusive multi-spoke 666 M styling and mixed tires (front: 265/30 R20, rear: 285/30 R20) complete the list of chassis upgrades. 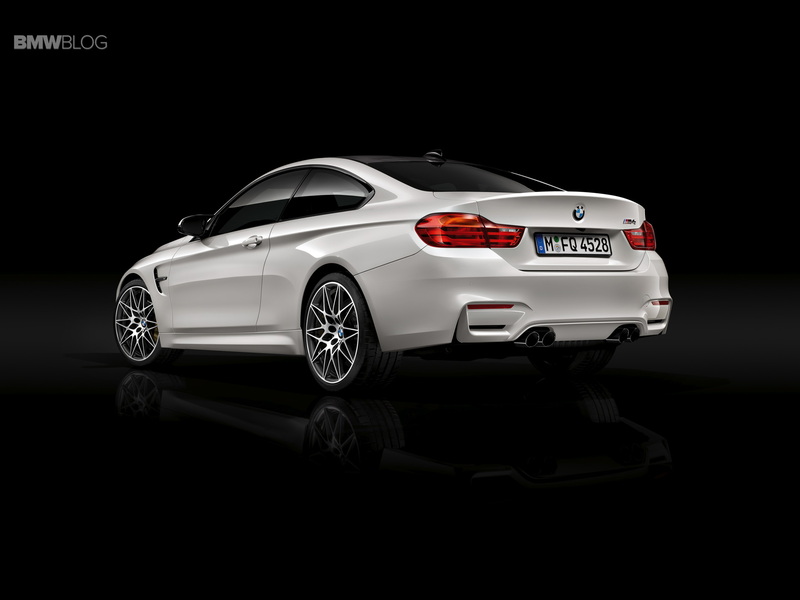 An M sports exhaust system with black chrome tailpipes and a louder growl is included in the price as well. 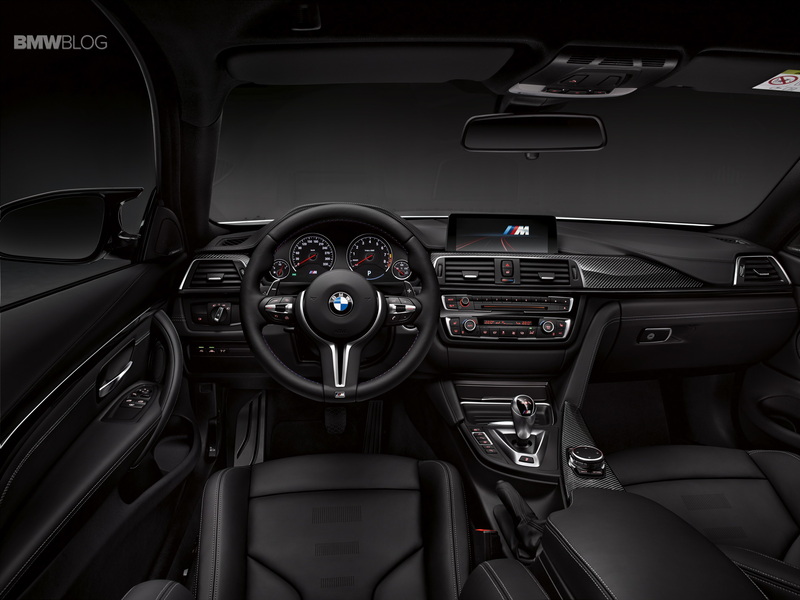 The interior remains largely unchanged, but Competition Package cars get new lightweight sport seats with seatbelts with woven-in BMW M stripes.